Rocky Mountain National Park is a Colorado mecca for outdoor adventures. Enjoy this natural preservation. Care for it, visit it, and help keep it safe! Make life easy and save money in the process when visiting Colorado's vacation areas. See prices and availability. Pick-ups in Denver for your convenience. Book Online. What can I see and do within Rocky Mountain National Park? Hiking/Backpacking: Choose from over 350 miles of trails. Bear Lake Trailhead is a popular starting point. Camping: Hike to a secluded spot surrounded by trees, a babbling brook, and wildflowers. Car camp at one of the drive-in campsites. Climbing/Mountaineering: Granite rock formations are incredible and fun to climb! Go to Lumpy Ridge or the Keyhole Route at Long’s Peak. Horseback Riding: Enjoy the scenery by horseback. At Cow Creek Trailhead, ride towards Bridal Veil Falls. Hitch your horse near the top. Continue on foot. Fishing: You can fish in most streams and lakes. Grab a guide to show you the good spots! Scenic Drives: People love to travel Trail Ridge Road. 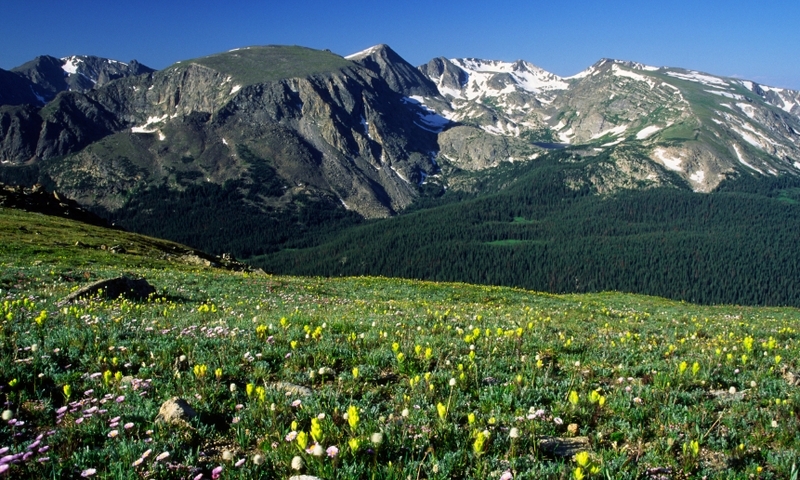 Witness alpine tundra, wildlife, and the Rockies as you ascend. Biking: Countless bikers climb Trail Ridge Road. Biking is allowed on park roads. Wildlife: The Park is home to many animals including Elk, Deer, Bighorn Sheep, Moose, Beaver, and Bears! Snowshoeing/Cross Country Skiing: Fluffy snow accumulates around Bear Lake. Explore! Try a guided tour. It’s right next to Estes Park, and 65 miles northwest of Denver. Enter the park from the west (US 34 from Grand Lake) or the east (US 34 or US 36 from Estes Park). When is Rocky Mountain National Park open? Rocky Mountain National Park is open 24 hours a day, year-round. Passes are available at the park’s entrance gates, and at an automated machine at the Estes Park Visitor Center. There are a few trailheads you can access without entering the park. If you stay overnight, remember to purchase a backcountry permit. Most campsite fees are $20, and require a reservation. 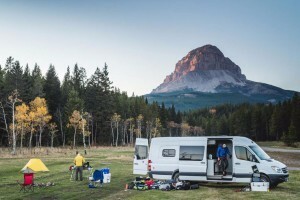 Some campsites are first-come-first-served.